This entry is for use within a 90 minute, 9-12, World History II class. It can be used as a stand-alone lesson or it can be divided-up into smaller lessons as part of each individual SOL. Students will examine content related to Mercantilism. The skills students will practice include identifying political boundaries, analyzing primary and secondary sources, and analyzing the impact of economic forces. 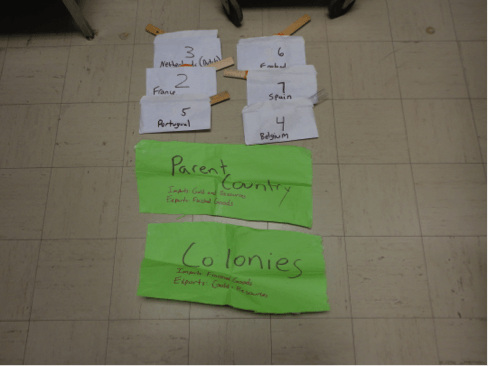 The student outcome will be demonstrating knowledge by describing and evaluating mercantilism.